“Your wife is dead. Come to your house quick” Onyonka told Mulei over the phone. “Dead?! What happened? How did she die?” Mulei frantically asked. “The doctor says depression or stress. The doctor and police are here in your house. Come quick” Onyonka spoke further and hanged up the call. Mulei was on a date with another woman. Minutes later, he had been laughing and charming that woman. But on receiving that phone call from Onyonka of his wife’s death, his face changed. Onyonka is his close friend. Mulei got up from the restaurant and left the woman. “What’s wrong?” Asked the woman. “I can’t talk” Mulei left saying. Mulei got in his car and started driving his car in a hurry. As Mulei drove off, he remembered how him and his wife went to the showroom to buy that same car he was driving. As he turned his steering wheel, he remembered how he used to tease his wife she drives so slowly when she drove. Those were the good days in their marriage. “My wife is dead! My wife is dead! God..” He broke down as he drove. He remembered the day of their wedding. The vows they made. As he turned the steering wheel, he looked on his finger and didn’t see his wedding ring. The wedding ring he removed to lie to other women he is single. Mulei remembered how he would heartlessly tell his wife that he has the right to have fun. How he would break his wife’s heart and not care. “My wife is dead! My wife is dead! Why God why?” He sought for an answer. The answer came to him. He remembered what Onyonka had told him. That his wife probably died of stress and depression. In that case, Mulei killed her. “I killed my own wife. God I am sorry…” He pleaded as he drove even faster. Mulei remembered how things got ugly in his marriage. How love left their home. How they started arguing. The four times he has slapped her. The monster he was to his wife and children. He felt he needed to stamp his authority in his house, then that need turned into disrespect to his wife, then disrespect turned into abuse, then abuse turned into ulcers. She developed ulcers because of the pain he caused her. Her health deteriorated but he didn’t care, he was too proud to apologize, he despised her as he chased after the admiration from other women. He had turned from a loving husband into a heartless stranger to her. She is dead. As he switched lanes and turned corners, he thought to himself how her ulcers must have turned into stress then into depression. When he went to ask for her hand in marriage, she was beautiful, loving and full of life; only for him to marry her, ruin her, break her and kill her. How did she die? He wouldn’t know because he hasn’t been at his home for a week. She kept sending him messages, pleading, begging but her cries fell on deaf years. She was such a nag, but he turned her into a nag. She was just a nagging woman desperate to save her marriage. Now she is dead. “What will I do with our four children?” He thought to himself. The four children he has been neglecting because he has been busy having fun. He got to appreciate the work his wife has been doing raising the children. Who will raise his children? The women he has been fooling around with can’t raise his children, they are not marriage material. Marriage material women don’t break another woman’s marriage. What will the parents of his dead wife think? What will people think? What does God think? This is how it ends? A marriage comes to this? A dead wife? Mulei parked his car. Got out of his car. Ran to his house. He opened the gate. Opened the door. He found Onyonka, his close friend standing in the corridor of his house. “What happened? She can’t be dead. She can’t be dead. What will I do?” Mulei said restless. “Are you OK?” Onyonka asked. “How can I be OK? My wife is dead. The mother of my kids is dead? Where is her body?” Mulei said losing breath. “In the living room” Onyonka answered. Mulei rushed to the living room. He saw his wife alive. Sitting on the sofa with Onyonka’s wife next to her. “You’re not dead? !” Mulei said in shock. “No she isn’t. But if you both continue like this she might. Your wife hasn’t been well at all. She has been trying to reach you but you have ignored her. The news of her death made you run to her. If only you were running to her for life and not death” said Onyonka. Mulei knelt down before his wife and touched her face. At first she resisted. “I hope the scary journey coming home thinking she is dead will remind you of what is important. Don’t wait until it’s too late to do what is right. You have a second chance” said Onyonka’s wife. Mulei held his wife’s hand. “Marriage is not a joke you two. Stop playing games with lives. Tomorrow is not guaranteed” added Onyonka’s wife. “You two have a problem. You’ve become comfortable hurting each other and hurting people. Tomorrow may never be there for you to say sorry” said Onyonka. “And when you meet your Heavenly Father, when you meet God. Mulei, one of the things God will ask you is how did you treat your wife? She is God’s daughter” spoke Onyonka’s wife. “And Mrs. Mulei God will ask you about how you treated your husband. You have the same problem. You go around making enemies, breaking relationships, hurting people and walking away. You cry about your husband disrespecting you, yet you disrespect your mother. 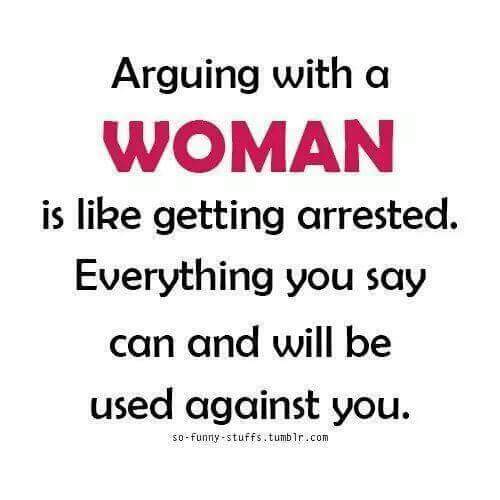 Repeatedly you have insulted my wife for no reason despite all she has been through with you. This don’t care attitude will make you regret one day. One day your mom will die, so will my wife, so will all of us. It is not wishing for death, it is the reality. When people are alive love them. Love them” said Onyonka. Mrs. Onyonka hugged Mrs. Mulei. “You two need to agree. Will you remain married and act like married couples, or will you break your marriage off for good? All or nothing, either you are fully in or not. “You have alot of ulcers to heal. You have hurt me so much but I still love you, our children love you. I am sorry for all the wrongs I have done to you too in anger and making things complicated. We vowed till death do us part. It will not be easy, but our marriage is worth it. We both messed up. We both can heal this family” said Mulei’s wife. Mulei and the wife hugged. “My wife and I will leave now, and let you two do what married couples do best” said Mr. Onyonka. Love your spouse, honour your parents, bless your children, cherish your friends; They are our world. 2017-11-28 Uncategorizedotimetot Enter your password to view comments. 2017-11-26 Uncategorizedotimetot Enter your password to view comments. 2017-11-22 Uncategorizedotimetot Enter your password to view comments. Pack your bags, you’re all set to travel! Your booking is all set and check-in for your flight will be available 24 hours before departure. When it’s time, go to the airline’s website and enter your airline confirmation number (below). There, you’ll be able to check in and get your mobile or printable boarding pass. With Flighthub, you’re in control of your booking! Check out out our extensive support section to answer your questions. Be sure to travel in comfort and select your preferred seat online now. Avoid having to arrive at the airport early, and secure that scenic window or stress-free aisle seat ahead of time. 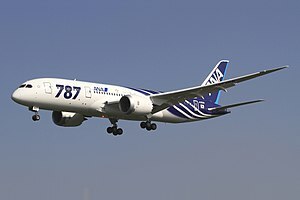 Need a different flight? No problem. If you need to make changes to your itinerary, we\‘re here to help. Our site lets you manage your booking online, where you can easily change flights at your convenience. Take advantage of FlightHub’s exclusive travel offers! No thanks, take me to my receipt! YOUR RESERVATION HAS BEEN BOOKED SUCCESSFULLY. Start and end your trip in comfort! Choose your seats now and avoid worrying about it later. Don’t get separated from your friends and family. Relax knowing you have your seat preference right away. Choose among a selection of mainly window and aisle seats. Lesson 1: What to do when Check Engine Light illuminates. Hi, great to see you again! Let”s make sure you know what to do when the check engine light illuminates. People usually get interested in the On-Board Diagnostics when the Check Engine Light illuminates on the dashboard of their car. The Check Engine Light is also known as the Malfunction Indicator Light (MIL). The purpose of this warning light is to indicate a detected problem with the car and alert you about the issue. The light can signal three different types of problems. The only way to find out what’s wrong with the car is to use on-board diagnostic tool. The tool and accompanied software can read the Diagnostic Trouble Code(s) from the system. Every time the OBD system turns on the MIL light, it will also store a Diagnostic Trouble Code (DTC) in the electronic control unit. The DTC will give information about the detected issue. If you have an OBD-II adapter already and OBD diagnostic software installed, you can check the reason for the problem yourself. For example, OBD Auto Doctor can read the DTC code from the car and give you description of the code. Those will guide you towards the main cause of the problem. Now that you know what you should do when the light comes up, in the next email I will show you how to read the diagnostic trouble codes and reset the check engine light. In Lesson 1 you learned that the Check Engine Light indicates that there is a problem with the car. Either the engine is having a problem or the emission control system has detected an issue. This malfunction is indicated by triggering the Check Engine Light (CEL). This warning light is the main indicator to warn you about problems with the vehicle. Ignoring the warning can cause serious damage to the car. There is always at least one OBD2 diagnostic trouble code associated with the check engine light. When the vehicle detects an issue, it will set an active trouble code and trigger the light. Today I will show you how to read the diagnostic trouble codes and reset the Check Engine Light yourself. Reading the diagnostic trouble codes (DTCs) is an important step to start with. The DTCs will tell you the reason for the fault. The codes help you identify the issue and determine the cause. Reading the codes is easy. Prepare the vehicle for connection by turning ignition key to the ON position. Don’t start the engine because to reset the light, the engine shouldn’t be running. 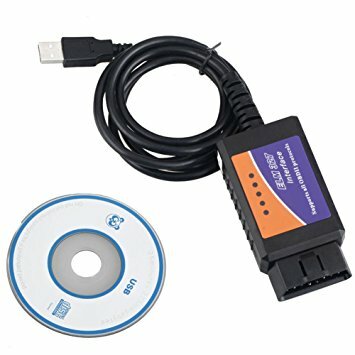 Launch the OBD Auto Doctor software and connect to the dongle. To read the DTCs with the desktop software, navigate to Trouble Codes from the left navigation panel. The software will read and show the information. Change the tab in the top to switch the view between confirmed, pending and permanent DTCs and freeze frame. Most of the time the diagnostic trouble codes appear for a good reason. You should investigate the codes and fix the issues causing the errors. Only after fixing, you should proceed to resetting the check engine light. If you haven’t fixed the issues, the same codes might come back immediately. However, sometimes the error codes occur from a random failure and there’s nothing to fix. In this case, you can reset the check engine light and hope the issue doesn’t come back. If it wasn’t just a random failure, the error returns. Yet, you should ensure that there are no problems with the car every time before doing the reset. Resetting the check engine light will clear the diagnostic trouble codes too. It will also clear all other diagnostic information such as stored freeze frame data and status of test results. After the reset, the car may run poorly while it performs re-calibration. One important thing to note is that resetting the CEL will reset the readiness monitors. This means that your car will not pass emissions inspection immediately after the reset. Because the emissions data is deleted, the smog device will fail your car. We will cover the readiness monitors the day after tomorrow. Click the Clear the DTCs button in the Trouble Codes view. Read and acknowledge the information presented. Now, the reset command is send to the car and the light is cleared. Resetting the Check Engine Light is a very easy process. More work is required for analysing the root cause of the warning and fixing the possible issues. Luckily, the car itself helps you to get started. It provides the Diagnostic Trouble Codes and other diagnostic information about the problem. You can avoid expensive dealer visits by reading the codes and resetting the warning light yourself. It’s a good idea to get the software and dongle right now. Waiting for the actual issues to appear might be too late. Getting yourself familiar with the tools when everything is working fine is a great start. Resetting the DTCs is sometimes also possible by disconnecting the battery for awhile. We do not recommend this method. New vehicles can have systems that need constant battery voltage. Disconnecting the battery can cause new issues with these systems. For example, the car theft system or infotainment system might be reset. Resetting the DTCs with a OBD tool is the recommend way. That’s how the professional mechanics do it and you should too. In the next leasson, Lesson 3 I will explain you the formula of the diagnostic trouble codes. We have learnt how to read the diagnostic trouble codes in Lesson and reset the check engine light in Lesson 2. I will now explain the format of the trouble codes in more details. Diagnostic Trouble Codes or OBD2 Trouble Codes are codes that the car’s OBD system uses to notify you about an issue. Each code corresponds to a fault detected in the car. When the vehicle detects an issue, it will activate the corresponding trouble code. A vehicle stores the trouble code in it’s memory when it detects a component or system that’s not operating within acceptable limits. The code will help you to identify and fix the issue within the car. Each trouble code consists of one letter and four digits, such as P1234. This lesson will teach you how to interpret the meaning of the codes. The OBD2 Trouble Codes are categorised into four different systems. Body (B-codes) category covers functions that are, generally, inside of the passenger compartment. These functions provide the driver with assistance, comfort, convenience, and safety. Chassis (C-codes) category covers functions that are, generally, outside of the passenger compartment. These functions typically include mechanical systems such as brakes, steering and suspension. Powertrain (P-codes) category covers functions that include engine, transmission and associated drivetrain accessories. Network & Vehicle Integration (U-codes) category covers functions that are shared among computers and systems on the vehicle. The first letter of the code will mark the system related to the trouble code. The first digit in the code will tell you if the code is a generic or manufacturer specific code. Codes starting with 0 as the first digit are generic or global codes. It means that they are adopted by all cars that follow the OBD2 standard. These codes are common enough across most manufacturers so that a common code and fault message could be assigned. Codes starting with 1 as the first digit are manufacturer specific or enhanced codes. It means that these codes are unique to a specific car make or model. These fault codes will not be used generally by a majority of the manufacturers. The first digit might be also 2 or 3. In this case the type depends on the system. B2xxx and C2xxx codes are manufacturer controlled while B3xxx and C3xxx codes are reserved at the moment. P2xxx codes are generic codes while P3xxx codes are manufacturer controlled. U2xxx codes are manufacturer controller as well as U3xxx codes. Previously, the second digit defined the sub-system of the codes. However, the latest document defining the diagnostic trouble codes (J2012 revised in 2016-12) had some changes to this. According to the document, as the DTC usage has increased with the introduction of new technology to vehicle systems, it was necessary to remove the grouping of DTCs into functional areas. The last two or nowadays three digits define the actual fault description. These numbers will tell the particular problem and each code is defined separately. There’s no formula to decode these codes automatically. Luckily, OBD Auto Doctor software contains the fault description for over 18 000 diagnostic trouble codes. There’s no need to memorize the format of the codes because you can read them with the car diagnostic software. Next is Lesson 4. We will learn about readiness or emissions monitors. Lesson 4: What are OBD2 Readiness Monitors? Welcome back to the next section of our on-board diagnostics email course! In the previous Lessons you learnt about diagnostic trouble codes and the check engine light. Now, we continue to other aspects of on-board diagnostics. Today I will explain you what the OBD2 readiness monitors are. OBD2 Readiness Monitors are simple yet powerful self check routines. They provide insight to the car’s self-diagnostics. The purpose of readiness monitors is to self-test the car’s emission control systems. The monitors are also known as Emissions Monitors. Like the name indicates, they observe the performance of car’s emission related systems. Cars may perform up to 11 system tests or routines. These tests are so called readiness monitors. The output of readiness monitors tell you whether the car’s computer has completed the tests successfully. There are two different types of readiness monitors: continuous and non-continuous. Continuous monitors are different in design from the non-continuous ones. Continuous monitors are being constantly tested and evaluated while the engine is running. The non-continuous monitors need certain conditions to be met before a test can be completed. The conditions necessary to run the non-continuous self-diagnostic tests vary. Some monitors require that the car follows a predefined drive cycle routine. Some require two drive cycles because of the need for a cool down and warm up periods between. Each emission monitor can have different requirements for the conditions. Previously, the OBD2 standard (SAE J1979) categorised each defined monitor as either one. In the latest standard edition, this definite allocation is no longer present for all of them. Thus, OBD Auto Doctor doesn’t follow the categorization anymore either. These monitors can be of either type. It’s up to the manufacturer to decide. Non-continuous monitors are different for spark ignition cars (gasoline engines) and compression ignition cars (diesel engines). Traditionally, the only monitor status was the status since the diagnostic trouble codes were cleared. This readiness monitor status is mandatory for all OBD2 compliant vehicles. It will show the long term status after the check engine light was reset and the DTCs cleared. As the OBD2 has evolved, newer vehicles can now report emission monitor status also for the current driving cycle. These monitors start from the beginning every time when the monitoring cycle begins. Older cars might not support this feature. In that case, OBD Auto Doctor will mark it as NA or Not Available. Complete or ready meaning that the test has been completed. It means that the OBD-II system has checked this emissions control system and it has passed the test. OBD Auto Doctor indicates this by green check mark. Incomplete or not ready meaning the test is not completed. It means that the OBD2 system has not been able to run this routine or it has failed. OBD Auto Doctor indicates this by red exclamation mark. Disabled meaning that the test has been disabled for the rest of this monitoring cycle. A monitor can be disabled when there is no easy way for the driver to operate the vehicle to allow the monitor to run. For example, the ambient air temperature might be too low or too high. OBD Auto Doctor lists all the defined monitors in the software. But the actual status can be reported only for the ones that the car supports too. It is not required for a car to support all the monitors. NA or not available monitor means that the car doesn’t have that monitor. Thus it can’t be tested. Clearing the diagnostic trouble codes (DTCs) and the Check Engine Light will reset the monitor statuses too. This typically occurs during or after vehicle repair. Statuses are also reset in case of power failure. This usually happens when the battery has been disconnected. That’s why it is not advisable to disconnect the battery. For the current monitoring cycle, or “this drive cycle”, the status is set to incomplete upon starting a new monitoring cycle. It is a normal situation for these monitors to be incomplete when starting the engine. Depending on your country and state, OBDII vehicle may not pass the annual inspection unless the required monitors since reset are complete. For example, the US Environmental Protection Agency guidelines allow up to two monitors to be not ready for model year 1996 through 2000 vehicles. For 2001 and newer model year vehicles only single monitor status can be incomplete or not ready. To avoid rejection in the annual inspection, you can prepare your car for the check yourself. You should at least read the readiness monitors and make sure they are ready. This will save you from almost guaranteed rejection. You can do all this with free version of OBD Auto Doctor diagnostic software. And remember, do not wait until the annual inspection with the issues. Acting immediately could save you a lot of time as well as future repair and fuel costs. That was a lot to go through. Let’s take some rest. We’ll continue the series tomorrow by learning OBD Mode $06 for more advanced diagnostic. 2017-11-12 Uncategorizedotimetot Enter your password to view comments. 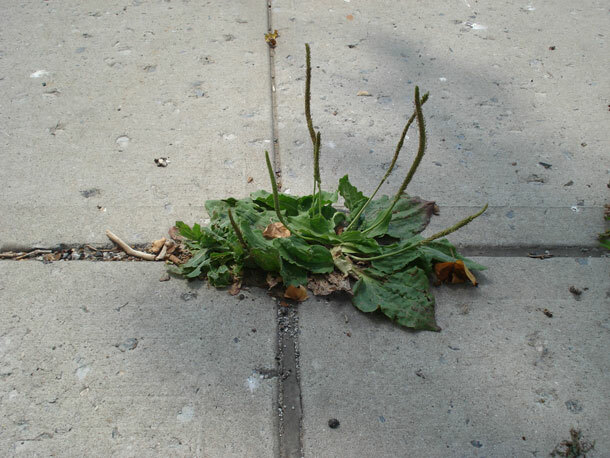 Plantain, A Common Driveway Weed, Cures Almost Anything That Ails You. One of the few “gifts” English colonists brought to Native Americans was plantain, a favorite medicinal herb back in Europe. Like many other plants deemed “weeds” by modern Americans, plantain is loaded with nutrients and is one of the most powerful medicines on Earth. Luckily, no matter how hard we try to eradicate it, it keeps growing where “civilized” humans need it most, through cracks in city streets and sidewalks and all over suburban yards. From bee stings, snake bites and sunburns, to bronchitis, arthritis and cancer, this plant is revered among practitioners of folk medicine for its ability to cure just about anything. Plantain can be used as a poultice to draw toxins out of the body. Just chew or crush plantain leaves to release their juices and apply directly to insect bites, bee stings, snake bites, cuts, blisters, splinters, sunburns, poison ivy outbreaks, acne or rashes. It can also be made into an antiseptic salve to prevent infection in burns and open wounds. The salve also acts as an insect repellent. 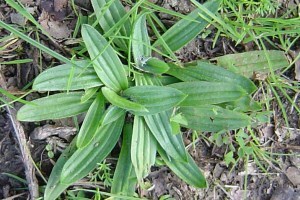 Plantain leaves and seeds aid in digestion. They’ve been reported to have a soothing effect for people who’s gut linings have been damaged by prolonged used of anti-inflammatory, analgesic, or antibiotic drugs and people with Celiac disease and food allergies. They seeds are used to treatment of both constipation and tea made from the leaves is used to treat diaherrea. Loaded with calcium and magnesium, plantain is used in the treatment of arthritis. It’s also applied topically to swollen joints, sore muscles, sprains, and sore feet. Plantain’s mucus loosening and cough relieving properties make it great for treating colds. Its anti-inflammatory, cooling and pain relieving properties provide relief for sore throats. It is also widely used in the treatment of bronchitis and tuberculosis. 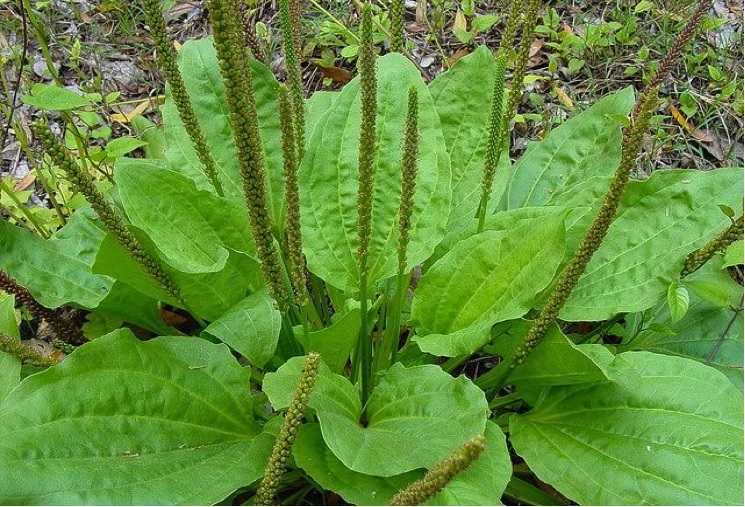 Plantain’s natural diuretic properties make is useful in all kids of kidney disorders. The same properties that make plantain an effective wound-healer make it an effective remedy for hemorrhoids. It’s leaves can be made into a salve and applied directly to hemorroids to slow blood flow to the region, reduce inflammation and relieve pain and itching. Drinking plantain tea and eating the leaves can help provide relief internally. Plantain is known to lower LDL cholesterol and triglyceride levels in blood, as well as balancing blood sugar levels. Plantain is high in oleanolic acid and ursolic acid, which have long been known to prevent cancer tumor growth. Instructions on making plantain tea, tinctures and salves can be found here.